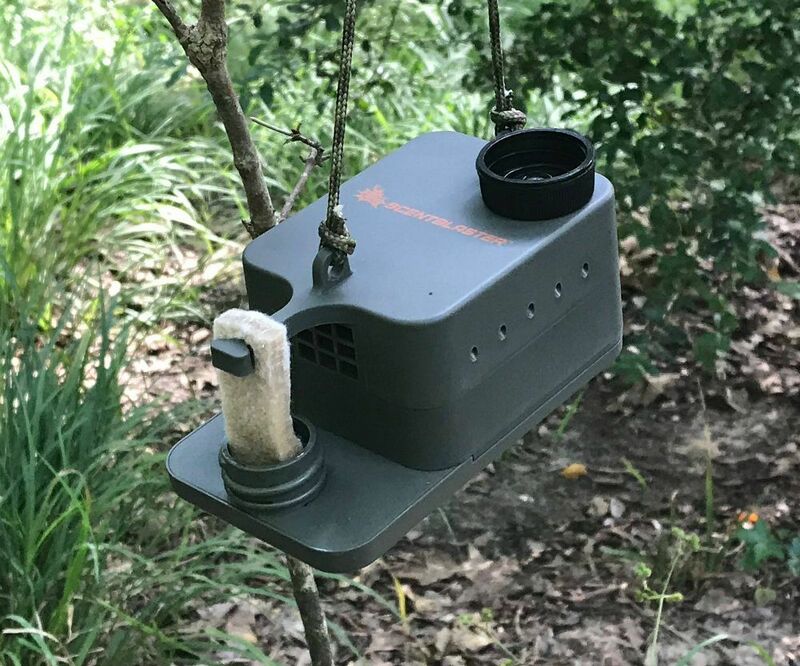 The ScentBlaster from Heron Outdoors is a scent dispersal unit that utilizes natural fiber wicks, interchangeable scent reservoirs and a silent fan. The proprietary ScentBlasterWick absorbs scent from the 2-ounce reservoir and stays wet for up to 3 days or more depending on weather conditions. The small fan runs more than 60 hours on four AA batteries and works to produce constant airflow over the wick for improved scent distribution on windless days. 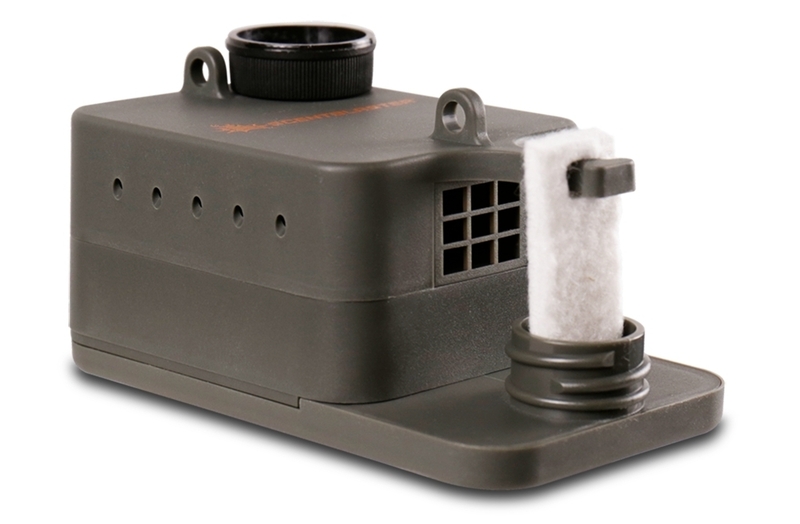 As the photo below shows, you can hang the ScentBlaster in a shooting lane or wherever you think it will perform best. When placed along a deer trail or near a scrape, the ScentBlaster can fool a mature buck into thinking a doe-in-heat is nearby. The ScentBlaster Starter kit comes with the ScentBlaster scent dispenser, reservoir and six-pack of wicks for $40.